Below are generalizations of a sub-set of aspects of Belize culture that impact our rate and quality of economic development. In Belize, most things are left for “later”. If it is not life threatening it can be done later. This attitude is very pervasive, and results in procrastination, latency, last-minute rush, and in creole “hurry-com-up”, which means something that is hastily, and normally incompletely or inadequately done. This manifests itself in many ways in daily life, not in the least of which is frequent late arrival for work, meetings or invitations known popularly as “Belize time”. This laid back attitude has its advantages and disadvantages relative to peaceful co-existence of so many mixed races, but in economic life, this lack of urgency hinders our pace of development in more ways than we care to accept. ..profit? that is none of our business! Belizeans have seen new ethnic groups arrive in Belize, and in no time, they advance their financial status and clout in the economy far beyond the Belizeans that have lived here for many generations. This is seen among the Mennonites, the “Arabs”, the Hindus, the Chinese and even the “evangelical” immigrants from Central America. This rapid economic advancement owes itself to a greater cohesion, collaboration and cooperation among the participants in these communities, especially the leaders. 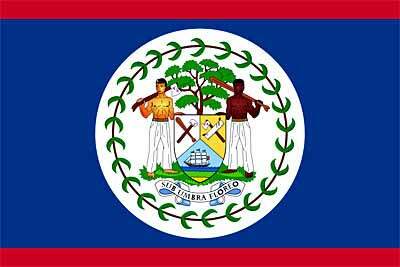 Generally, Belizeans are not the happiest people to see their own family, friend, neighbor or community member prosper….they will criticize, complain, sabotage and find the most creative ways to tear down….rather than to support and help build up. As a Belizean see his neighbor having success with his panades shop, every other Belizean on the street will open a panades shop….instead of one becoming a barber, one a baker, the other a candlestick maker. The underdog is the favorite generally for Belizeans. Persons seeking to excel in school…or in the work place…will be criticized by their peers as nerds and brown noses, instead of encouraged to do better. Profiting, and doing what it takes to make it, is viewed negatively in Belizean society. However, Belizeans would be quick to pay homage and be subservient to a foreign person of means. If a Belizean has a rich neighbor and a poor neighbor, he will send a gift to the rich neighbor before he sends one to the poor neighbor. A Belizean views himself as of a higher status if he consumes foreign goods and services. A foreign manager will get more ready cooperation from his Belizean workers than a Belizean manager, because he “knows”. The Belizean manager is viewed as a peer, and if he does not equalize himself with these peers, he is thinking himself “higher than us” and more often than not, sabotaged. These qualities are neither conducive nor incentive for people to do better and to become the best that they can be. More often than not, persons with a higher ambition feel it necessary to leave Belize seeking the opportunity to be the best persons that they can be. This is perhaps why most corporations and institutions in Belize feel the need to hire non-Belizeans as their top brass. Perhaps this is why it is very rare for important decisions to be taken in the Belize government if it is not recommended or sanctioned by a foreign consultant. This amounts to a nation exhibiting a very low self-esteem, incapable of engaging in objective compare and contrast analysis and debate, reaching meaningful consensus on high-ambition objectives, making decisions in its best interest, and then taking decisive action based on those decisions….but rather a nation quick to reach its lowest common denominator….for example, rapidly identifying with and absorbing hip-hop culture from inner-city USA, yet looking with scorn and/or jealousy upon US scientific explorative, innovative and entrepreneurial ways. Belizeans generally do their best when they work by themselves. Any engagement that requires group or team work will encounter any amount of difficulties and challenges….especially if there are two or more interested parties. We prefer to give up on an opportunity to gain ourselves, if that opportunity required sharing with a family member, friend or neighbor as a partner. We avoid every opportunity to seek out and arrive at win-win scenarios….equations for mutual benefit….we generally “want our cake and eat it too”. Perhaps this comes from a miscalculated understanding that the world is a zero-sum game….that where one gains, another must lose. This is seen in the relationship between importers and producers….between cruise tourism and over-night tourism developers…between tax collectors and tax payers….between government and opposition…among others…..where processes that would lead to a better mutually beneficial co-existence is trumped by the need, want and desire to satisfy the insatiable appetite of selfish me-only motives. Knowledge of organizational culture in the context of our national culture has been used here to show how it impacts on the business and economy of Belize. Having only general knowledge in this field, I felt compelled to touch this topic, hoping that persons more qualified in the area would try to get more scientific research done to put flesh on this skeleton….as I don’t see much being done in this important area. There are aspects of Belizean culture that can be considered good for business and the economy, for example the friendly and open, almost naïve nature of the people which is generally good for tourism….but, there are also important aspects of the culture that offer frictional and other resistance to development, especially in vital factors of production and productivity. We need to acknowledge that culture is much more than music, food, dress and arts….that beliefs, values and behaviors are actually more important in terms of cultural impact on economic development….and we should make greater efforts at understanding these aspects of our evolving culture through continuous scientific research….and engage in developing expert knowledge in cultural engineering that can help to guide us in promoting those positive aspects of our culture…and changing those not-so-positive ones. I read this today as part of the Daily. It was great food for thought and brought up many examples of trying to accomplish things, work with locals on our house project, and observing "how things are done". Having worked in Organization Development, taught it, and facilitated Change Management in several countries, I thought about Mr Harrison's request for an OD perspective. He did a good job of describing pluses and hindrances to OD. I think the biggie is, in as successfully planned and executed OD initiative, the organization first examines it's Culture, where it fails, and what needs to change for the whole organization to achieve its goals. In the case of Belize, the leadership, Government, deciders, don't do that. There is no cohesive vision for the future. Where does Belize want to be, how does it want to see itself in the Region, and how can that be communicated and strategized to its people/players? To apply an OD perspective, Leadership entities can do this. The Cultural analysis Mr Harrison developed could then be used to reinforce strengths, and identify those obstacles to be overcome. A vision and mission would need to be developed in terms of these specifics. There would need to be "ownership" and "buy in" by all levels; Leadership, economic entities, education, and people. I was very delighted to see Mr. Harrison's editorial, and like GwenA I have spent my career doing many types of organization development. I hope this editorial gets the eye of a few Belizeans, because it is my belief that even if one of these topics were to be really addressed, it would make a huge difference in Belizean's ability to succeed and prosper. I believe change is slow, but it has to start somewhere.